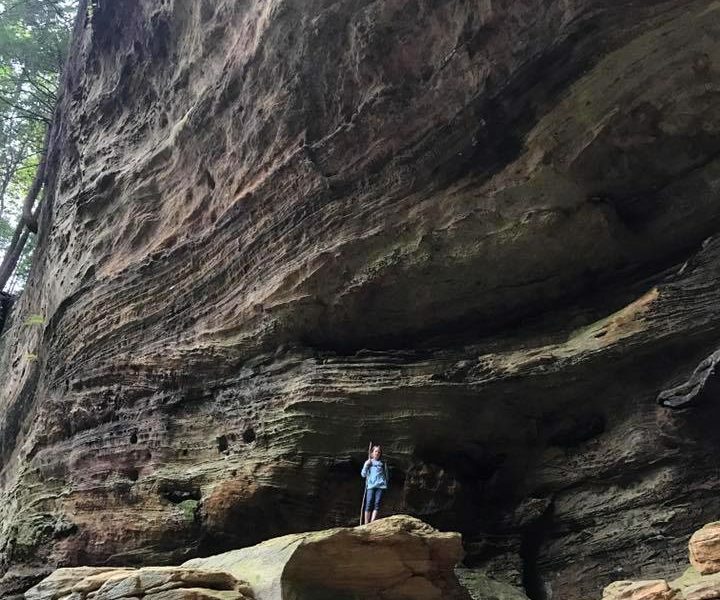 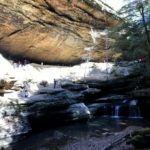 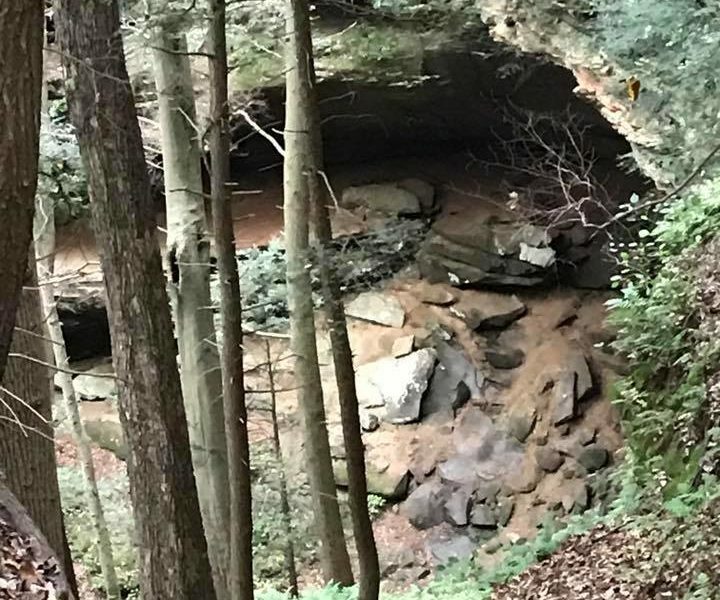 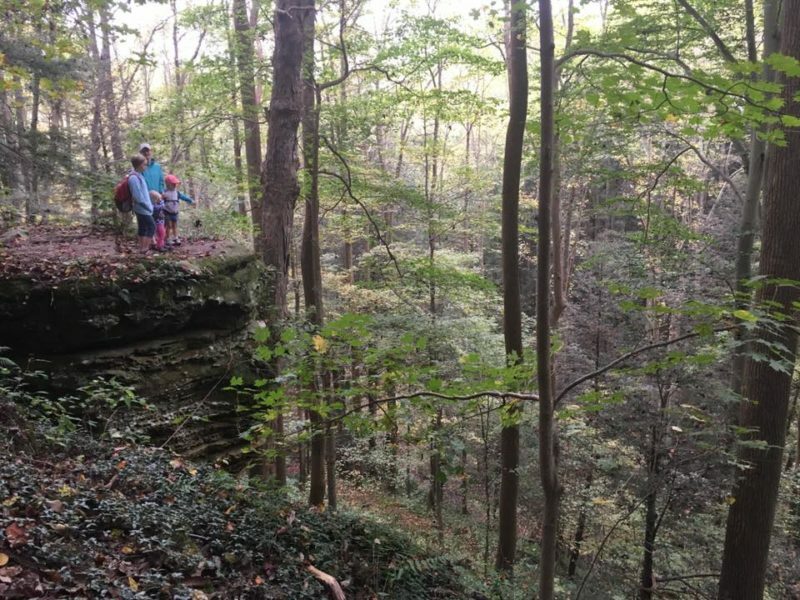 Cantwell Cliffs is found in the northern area of Hocking Hills, 17 miles from Old Man’s Cave. 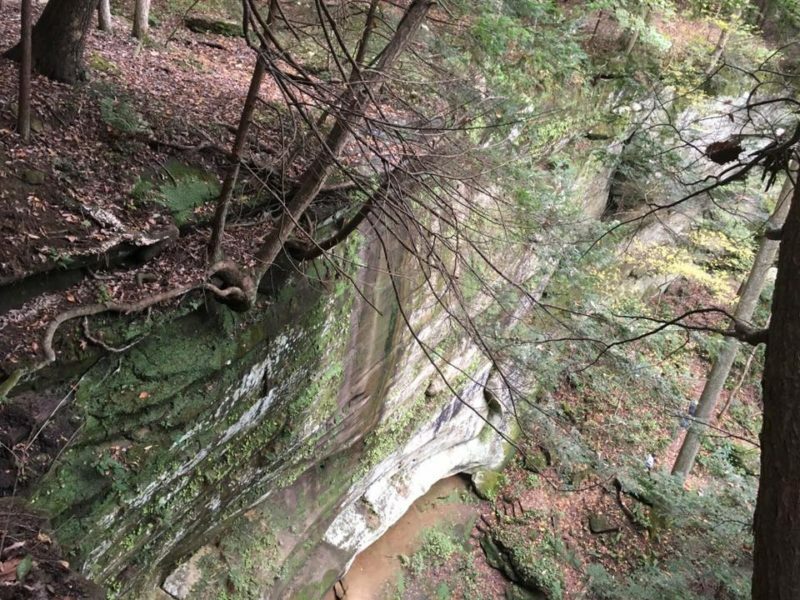 This gorge is a moderate hike with a gorge trail accessed by a Fat Women’s Squeeze and plenty of stairs. 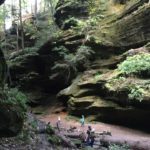 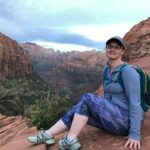 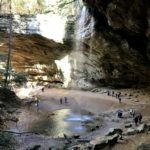 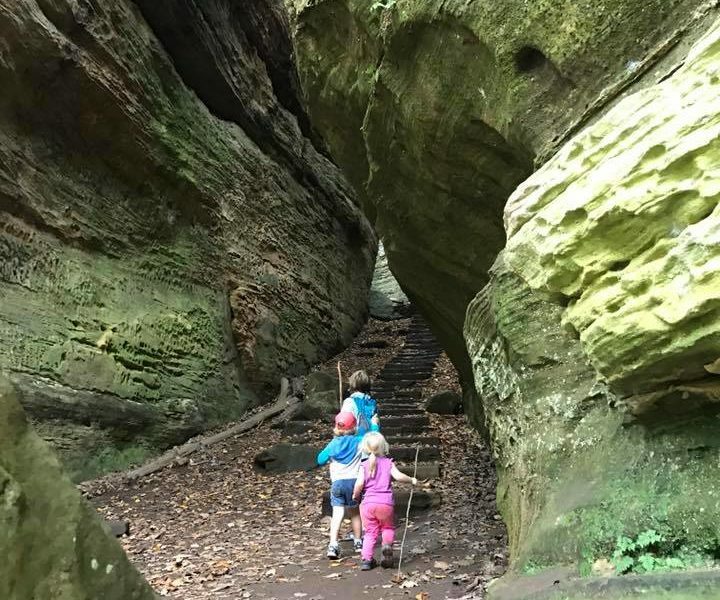 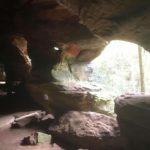 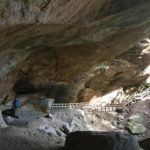 While hiking this trail you’ll view large sandstone cliffs, large slump rocks, and a beautiful recess cave. 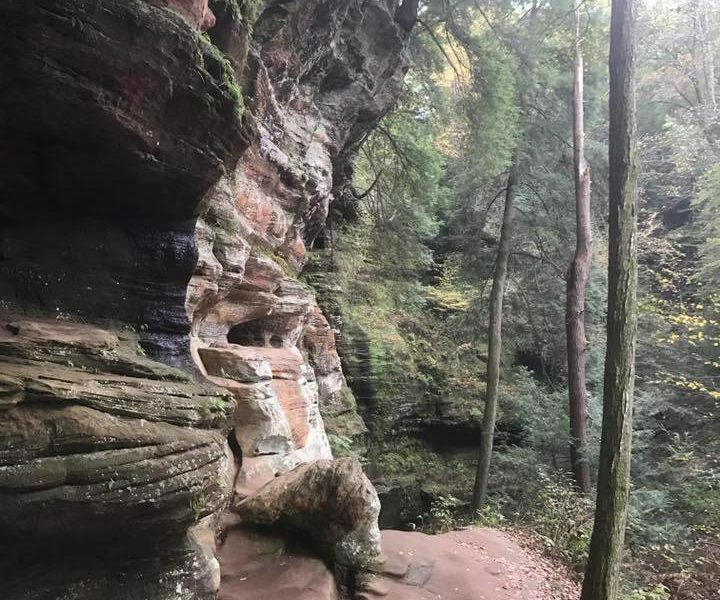 The rim trail will give you fantastic views of the gorge below.